CLASSIFICATION F.C.I. 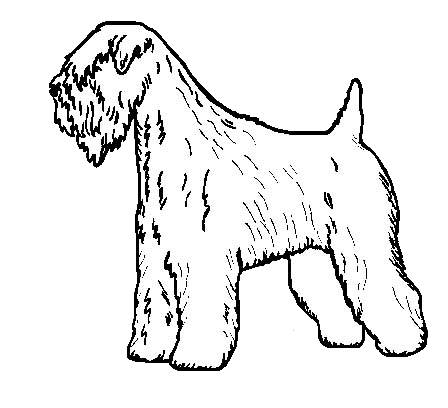 : Group 3 Terriers : Section 1 – Large and medium sized Terriers Without working trial. steadily in popularity since and is now well known world-wide. HEAD: In general powerful without being coarse. Long, in good proportion to the body. Hair same colour as on body. Skull: Flat and clean between ears, not too wide. Muzzle: Foreface not longer than skull. Jaws: Jaws strong and punishing. Teeth: Teeth large, regular; scissor or level bite, (i.e. edge to edge) neither undershot nor overshot. allowed. “Rose” or “Flying” ears are objectionable. Compact. Not too long. Length from withers to base of tail approximately the same as from ground to withers. Chest: Deep, ribs well sprung. Well set, not too thick. Carried gaily but never over the back The tail is docked so that two thirds of its original length remains assuming it is in proportion to the dog. An undocked tail is permitted. Forelegs perfectly straight viewed from any angle. Good bone and muscle. Hocks: Well let down, turned neither in nor out. Hind dewclaws should be removed. Small, not spreading. Toenails preferably black but varying dark colours allowed. Straight action fore and aft, going and coming. Elbows tucked in. Side view : free, light co-ordinated movement. Trimmed dogs: Coat cut close at neck, chest and skull, and left especially long over eyes and under jaw. Whiskers encouraged. Profuse feathering on legs. Body coat trimmed to follow the outline of the dog but not sculpted. care must be taken when assessing this point. They go through several changes of colour and texture before developing the mature adult coat. This usually occurs between 18 months and 2½ years. to the body coat. These dark markings clear away with maturity. Dogs 18-19 ins (46-48 cm). Weight: Dogs 40-45 lbs (18 – 20.5kg). * Nose any colour other than black. * Undershot mouth. Overshot mouth. 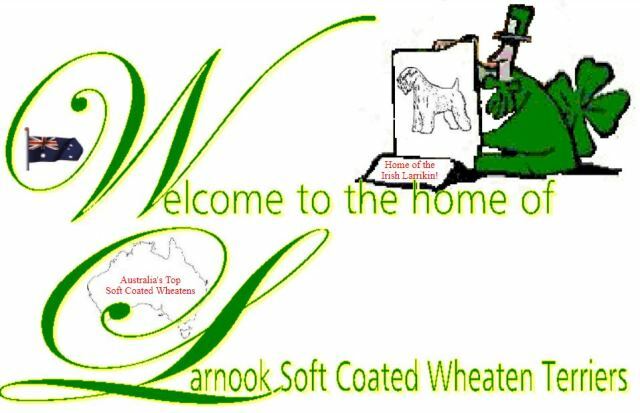 * Overall mature coat not clear wheaten colour. * Dull, thick, woolly or cottony textured hair. * White coat. Brown coat. NB. Male animals should have two apparently normal testicles fully descended into the scrotum.